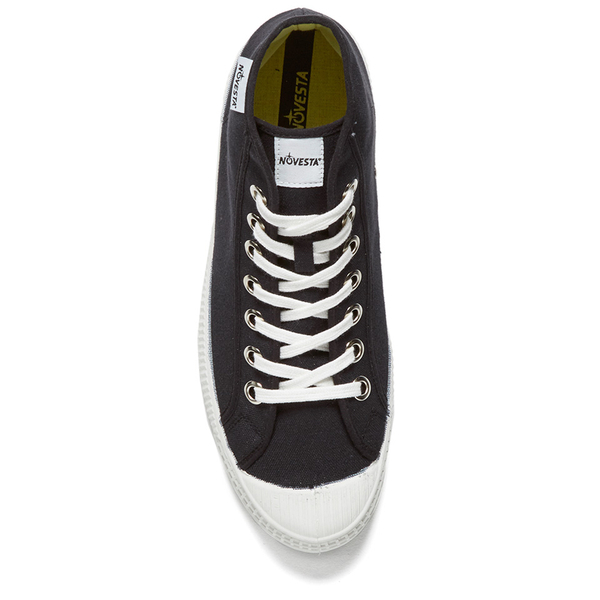 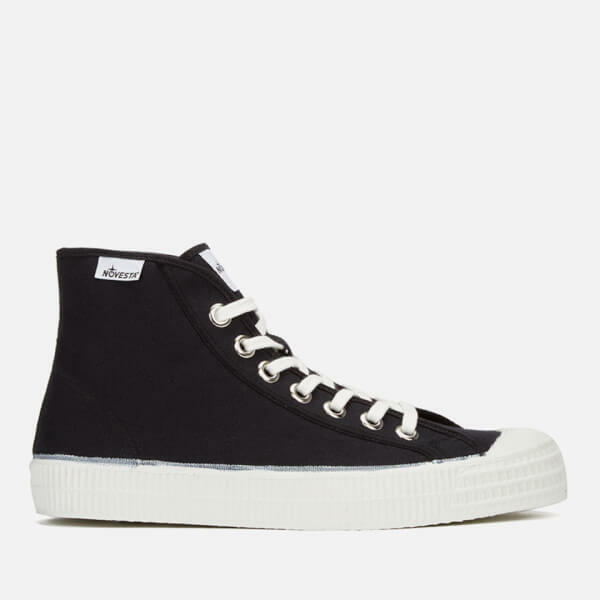 Men’s ‘Star Dribble’ black canvas high-top trainers from heritage Slovakian label Novesta. 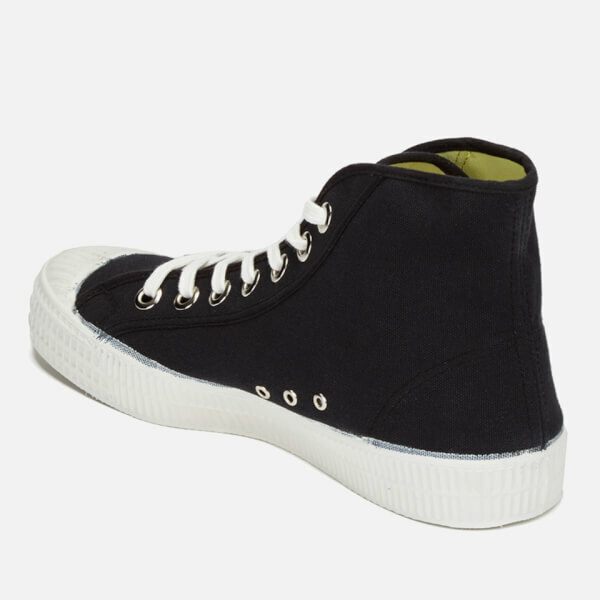 Crafted in the same factory using the same materials for the past 80 years, the ‘Star Dribble’ sneakers feature cotton canvas uppers with oversized metallic eyelets and a flat lace-up fasten. 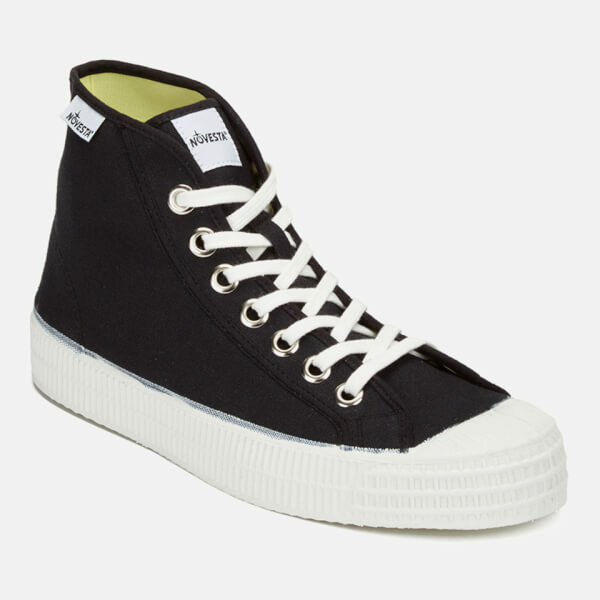 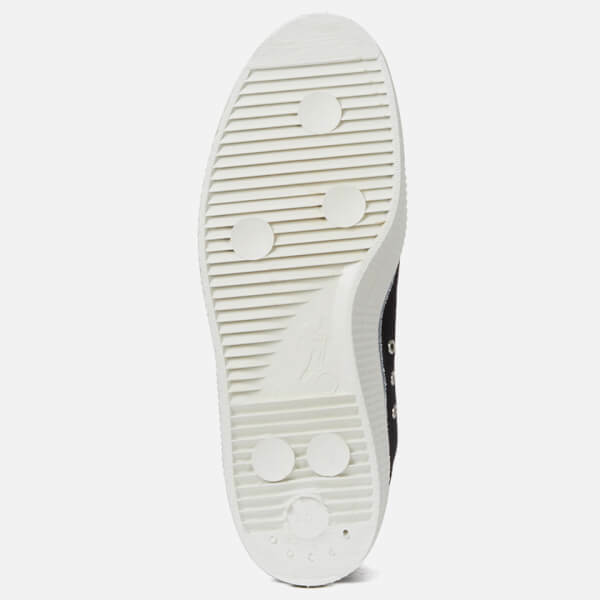 Set on a chunky white rubber sole, the high-top trainers are complete with a white rubber toecap, silver-tone eyelets to the side and a Novesta woven brand tab stitched to the topline.